Learn about our mission to provide remarkable care to them. 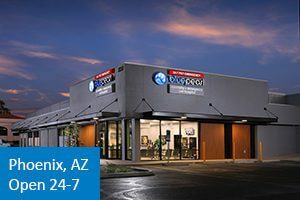 BluePearl is a national network of specialty and emergency pet hospitals. Our hospitals are located throughout the country, most of which are open 24 hours a day, every day of the year. 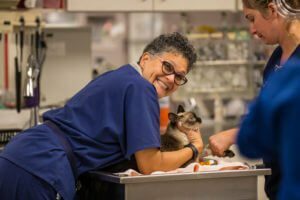 Our veterinarians use innovative procedures, high-tech equipment and the latest treatment methods to provide comprehensive medical care to pets. We combine this expertise with a love for animals and the belief that kindness is the foundation of veterinary medicine. At BluePearl, we recognize that pets are part of the family. 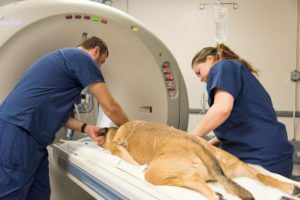 We honor the human-animal bond by providing the very best in advanced medical care for pets – including techniques that were once reserved exclusively for humans. We are committed to upholding the highest medical standards and are constantly searching for new and better ways to treat our patients and advance our profession. We follow the five guiding principles created by our parent company, Mars Petcare. These principles connect all of our BluePearl hospitals and guide the actions and decisions of our associates every day. Quality: The consumer is our boss, quality is our work and value for money is our goal. Responsibility: As individuals, we demand total responsibility from ourselves; as associates, we support the responsibilities of others. Mutuality: A mutual benefit is a shared benefit; a shared benefit will endure. Efficiency: We use resources to the full, waste nothing and do only what we can do best. Freedom: We need freedom to shape our future; we need profit to remain free. Learn more about the Mars guiding principles.